On Tuesday, January 29th, NDC organized a financial aid work shop from 1:30 to 2:30 giving students another chance to apply for their FAFSA or DreamAct applications. At the event, Anavel from our financial aid office showed students through the process of applying, which began by helping them understand which application is right for them. The guidelines for each application are available on each if their websites. Once the students found which website to visit, they were showed how to create a login or how to access their’s if they already had one. After this, our two staff members watched over to make sure the applications were being filled out accurately because each question is very important in calculating each students’ federal aid. 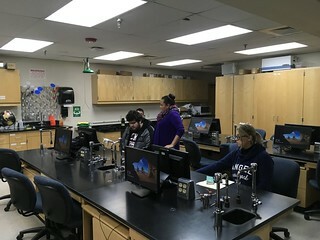 Although only a few students attended, all of their questions were answered and both were able to submit their applications by the end of the event. Remember that the deadlines for both applications is March 2nd. So if you have not already login and submit yours right away for the 2019-2020 school year!